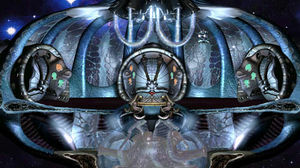 The Hub is a room in Creatures Docking Station devoted entirely to connecting the Capillata's metarooms. These metarooms are the Norn Meso, the Comms Room and the Workshop. If the Capillata is docked with Creatures 3 Ark this metaroom will also allow you and your norns to travel between the two. A hub is also a term used to refer to a community centre, such as Albia2000 or Creatures Caves. The Capillata Hub is also the name of coolpikaaa's webpage. Amaikokonut's Splicer DS makes use of the Hub to house a splicing machine.